According to Judge de Brichambaut, the Majority issued a de facto advisory opinion, which is not permitted under the ICC’s statutory regime. My take is that the Majority’s expansive, imaginative, statutory provision-shopping, and creative (if not tortuous) interpretation of the Rome Statute gives pause to many States Parties and non-States Parties (already suspicious of the ICC), who view such conduct as judicial adventurism and result-determinative bench-legislating. The OTP based its Request on Article 19(3) of the Rome Statute, which provides for the Prosecutor to seek a ruling from the Court on questions of jurisdiction or admissibility. Article 19(3) is not confined to any particular stage of proceedings—in its own terms, it draws no distinction between a requested ruling on the Court’s jurisdiction in a particular case or a situation as a whole. Nor does its context require such an interpretation. Although article 19(1) requires the Court to be satisfied that it has “jurisdiction in any case brought before it” (emphasis added), judicial practice nonetheless exhibits the Court’s power to address such questions even before a case is opened.1 Request, para. 53. Neither of the decisions cited by the OTP support its claims that judicial practice exhibits the ICC’s power to address questions of jurisdiction before a case is open. Both decisions deal with requests under Article 58 for issuing arrest warrants or summons to appear to hear the charges. Granted, there is one line in the decisions which says “an initial determination as to whether the case … falls within the jurisdiction of the Court is a prerequisite for the issuance of summons to appear or warrants of arrest” (Prosecutor v. Ahman Harun and Ali Kushayb, para. 13; see also Situation in the Democratic Republic of the Congo, paras. 42-43). But when considered in context, this pithy refrain does not support the OTP’s claim that Article 19(3) envisages the seeking of a decision on a jurisdictional question at the preliminary examination stage, let alone at the pre-preliminary examination stage – or, to put it more accurately, at the naval-gazing musing stage: we are thinking that we might conduct a preliminary examination, but even if it is decided that the ICC may have jurisdiction, we are not committing to conducting one, we are just exploring the possibility.2 Request, para. 3. The OTP further argued that its interpretation of Article 19(3) “is entirely logical, given the bedrock importance of jurisdiction – which is not only illustrated by article 19(1) itself but also reflected in the general principle known as ‘compétence de la compétence.’” According to the OTP, the very object and purpose of Article 19(3) supported its interpretation, promoting judicial economy in allowing judicial consideration of certain “fundamental questions … before embarking on a course of action which might be contentious.”3 Request, para. 53, italics in original. Seemingly, the Majority saw through the OTP’s subterfuge. It did not affirm the OTP’s reasoning based on the authority cited. Nor did it comment on the OTP’s embellishment of cited authority (the decisions which dealt with the issuance of warrants of arrest and summons to appear) which, when carefully considered, did not support its claims. Perhaps, it chose not to highlight theses errors since it had already concluded that it could reach a desired result through other means. Finding no need “to enter a definite ruling on whether article 19(3) of the Statute is applicable at this stage of the proceedings,” the Majority punted by claiming that that there are different and “quite controversial” academic interpretations of Article 19(3) – citing, of course, academic commentaries. As I noted in my previous post, echoed by Judge de Brichambaut, academic commentaries are not a substitute for legal authority, irrespective of the added value they may provide in support of legal authority. But more scandalously, when judges, whether sitting individually or in a chamber, are called upon to interpret statutory provisions and decline to do so without legal reasoning (especially because academics, who have no stake in the process, disagree), this amounts to an abdication of their responsibilities. 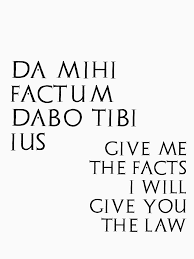 It turns the well-recognized maxim Da mihi factum, dabo tibi ius (give me the facts, I’ll give you the law) on its head. Perhaps the Majority avoided addressing Article 19(3) because it would have had to dismiss the Request, as rightly concluded by Judge de Brichambaut. Not that it would have made a difference, since the OTP could have pressed ahead with a preliminary examination, and as I argue below, deal with the jurisdiction matter through its formal request to investigate. And when you consider the manner in which preliminary examinations are conducted and information gathered (by scouring the web and reviewing open-source material), the OTP would have incurred no cost in completing a preliminary examination and asserting the ICC’s jurisdiction (as it does in its Request) when seeking authorization to investigate (see my posts here and here). Perhaps the optics of dismissing the Request in light of the Rohingya humanitarian tragedy that is ever-present in the media, coupled with a lack of intestinal fortitude to make tough decisions that may appear callous, was the reason for the Majority searching for a bypass, another statutory provision and/or legal principal to justify a result which, in reading the tea leaves, seems to have been pre-ordained. Hence the Majority’s reliance on Article 119(1) and the principle of la compétence de la compétence. The Majority invoked Article 119(1) found in Part 13 of the Rome Statute as one of the “Final Clauses.” In part it reads that “[a]ny dispute concerning the judicial functions of the Court shall be settled by the decision of the Court.” The Majority found that based on the various public statements by the Myanmar government, the issue before the Pre-Trial Chamber (PTC) – whether the ICC may exercise jurisdiction over the alleged deportation – was “clearly subject to dispute with Myanmar.” Citing, again, a number of academic commentaries, the Majority observed that Article 119(1) has been interpreted to include questions related to jurisdiction. The Majority went on to find that it had the power to rule on jurisdictional issues in accordance with the established principles of international law applicable under Article 21(1)(b) of the Rome Statute, such as the principle of la compétence de la compétence (i.e. any international tribunal has the power to determine the extent of its own jurisdiction).4 Majority’s Decision, paras. 28-30. Judge de Brichambaut’s dissent is illuminating, compelling, and persuasive. Had the Majority heeded his analysis, the OTP would most likely be at the stage of seeking authorization for investigation or perhaps in the middle of a full-blown investigation. It is difficult to find fault with Judge de Brichambaut’s reasoning for being unmoved by the OTP’s reliance on Article 19(3), noting:5 Dissent, paras. 10-13. The contextual interpretation of Article 19(3) suggests that it only applies when a case has been defined by a warrant of arrest or a summons to appear to hear the charges. Articles 19(1) and 19(2) use the term “case,” further indicating that the identified parties can challenge the jurisdiction and admissibility of a case, when such a case exists. The wording of other regulatory texts governing the application of Article 19(3) equally make it clear that there must be a case. For instance, Rule 58(2) of the Rules of Procedure and Evidence (“When a Chamber receives a request or application raising a challenge or question concerning its jurisdiction or the admissibility of a case in accordance with article 19….”), uses the word “case”. Interpreting Article 19(3) in a way that allows to apply it at the “pre-preliminary examination” stage risks inviting the OTP to put before the PTC hypothetical or abstract questions and for the OTP to circumvent its adopted “statutory-based” four-phase procedure for preliminary examinations, delay the decision-making, and “shift the burden of assembling a case” onto the PTC. As for the Majority’s claim that there was a “dispute” that triggered Article 119(1), Judge de Brichambaut elegantly dispensed with this canard by showing otherwise: Myanmar simply noted on a public information website that it was disinclined to engage with the ICC, that it had no obligation to cooperate, Myanmar was not a State Party, there was no judicially authorized investigation ongoing, and that for all intents and purposes, at the time being, the OTP was the only interested party. Meticulously, Judge de Brichambaut showed that the jurisprudence relied on by the Majority from the Permanent Court of International Justice and the International Court of Justice did not define “dispute” in comparable context (before any judicially authorized proceedings commenced, or after the filing of complaints or assertions of a party’s rights). But even if Myanmar’s press releases gave rise to a dispute, Judge de Brichambaut rightfully noted that invoking Article 119 was equally premature since the OTP had not yet asked the ICC to assert its jurisdiction over the situation at hand. He observed that the Majority arguably embroidered in asserting that Article 119(1) includes issues of jurisdiction based on academic interpretations, which, upon closer scrutiny, were more nuanced than the Majority claimed; the authors merely made tentative suggestions as to what Article 119(1) may include. Invoking the principle of la compétence de la compétence – as if the issue before the PTC was whether the ICC has the authority to decide questions of its own jurisdiction – was a red herring. Judge de Brichambaut saw through the OTP’s and Majority’s specious reliance on la compétence de la compétence. Noting that there was no lacuna warranting the application of this principle, when, in fact, Article 19(3) deals specifically with the challenges to jurisdiction, he reminded the Majority of the recent cautionary note struck by the Appeals Chamber in Bemba et. al., that chambers / judges should only invoke their inherent judicial powers in a very restrictive way, and that the purpose of the principle is to “serve as a mechanism to resolve conflicts of law and prevent unilateral obstruction by litigation or arbitration.”6 Dissent, para. 26. Suffice it to say, no one was challenging the ICC’s authority to entertain its own jurisdiction. At stake was whether at that point in time, when no investigation or even a preliminary examination was ongoing, the issue was ripe for the PTC to entertain. Judge de Brichambaut got it right. When you consider this four-step process set out by the OTP, the factual matrix in its Request, and the OTP’s compelling argument asserting the ICC’s jurisdiction over the crime of deportation, one can conclude with a modicum of intellectual honesty that at the time when the Request was submitted, the OTP already had a sufficient basis for making a request for an investigation. So why the charade? There was no need to request a jurisdictional ruling other than to perhaps obtain some political cover or a “green light” from the PTC before venturing into an investigation. In the event the PTC found no jurisdiction, the OTP could have conveniently declined any communications or the need to act on its own, leaving it up to the UN Security Council to call for an investigation under Article 13(b). Judge de Brichambaut’s observation that the Majority acted proprio motu in looking for an alternative legal basis to entertain the Request, while interesting, is not inappropriate as such. Judges at the ICC (and elsewhere), in seeking the truth and applying the law faithfully, have the inherent power to raise issues or examine alternative statutory provisions or legal authority on their own. Where it does come into question, as Judge de Brichambaut noted, is when the Majority latches on to statutory provisions, which, however sliced and diced, are irrelevant or inapplicable, and uses them as a pretext to achieve what would appear to be a desired result. The better approach for the Majority would have been to adopt Judge de Brichambaut’s position. The Request should have been denied as premature. Guidance could have been provided to the OTP to conduct (or complete) a preliminary examination and then, where it to have found a reasonable basis to proceed with an investigation, make an appropriate request, as it has done in the past, at which point the OTP would make its argument as to why the ICC has jurisdiction. In the end, one may say that it all came out in the wash. That inevitably, the PTC would have confirmed that the ICC has jurisdiction over the alleged crime of deportation in the present situation. So, you may ask, what’s the fuss? Well, the answer depends on whether we want judges at the ICC interpreting statutory provisions expansively and going out of their way to circumvent the procedure in a hunt for ways to reach a desired result, or whether we want them to strictly apply statutory provisions as the drafters intended and let the rulings fall where they may. 1. ↑ Request, para. 53. 2. ↑ Request, para. 3. 3. ↑ Request, para. 53, italics in original. 4. ↑ Majority’s Decision, paras. 28-30. 5. 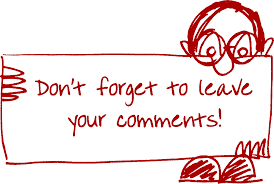 ↑ Dissent, paras. 10-13. 6. ↑ Dissent, para. 26.